Sko is a shoe rack with both an industrial and simple feel and is made with robust, Scandinavian materials. Sko has been designed without any unnecessary components. It consists of a wooden frame with two perforated steel shelves held together by accentuated screws. 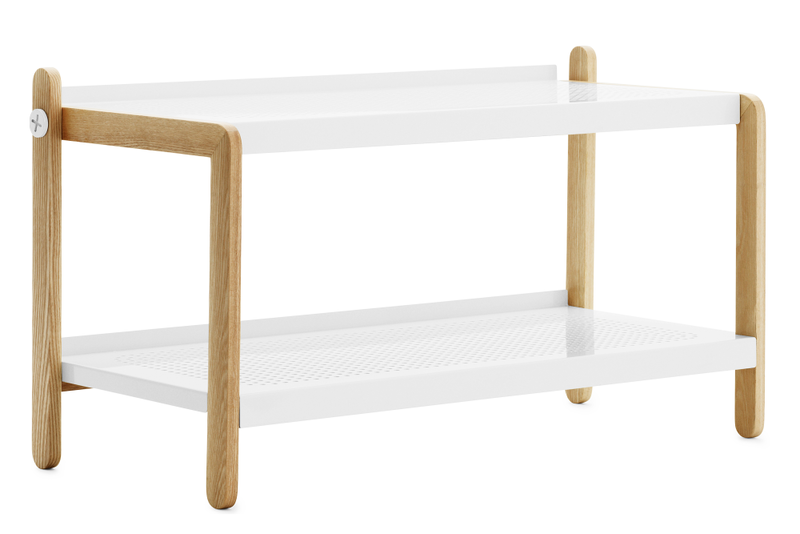 Sko is available in ash, with shelves in a pure white or intense dark grey and is perfect for places where extra storage space is needed for shoes and boots, such as the hallway and bedroom etc. Easily assembled with help from the included manual. Delivered in a flat package. Clean with damp cloth.